We shot a new commercial. You’ll be amazed! We’ve been thinking about making a total blast to promote our products since the last year’s autumn. And there’s the result – spectacular commercial for Sana products, where one spaceship follows another and where almost a disaster happens. And how does it end up? We’ve been thinking about making a total blast to promote our products since the last year’s autumn. And there’s the result – spectacular commercial for Sana products, where one spaceship follows another and where almost a disaster happens. And how does it end up? We started with production of our new commercial in autumn. Altogether with guys from Spaneco Production we tuned last details in the script, organized castings and prepared stage properties – including a couple of loafs of bread baked in our bread makers. We were really excited about making our first 3D animated video. When we looked in the “backstage” of our animators for the first time, we were convinced that our dream of making an extraordinary commercial would soon come true. It was released in April and you can watch it on Youtube. We are totally excited about the outcome, so don’t hesitate to check it out. Will Sana Products get to their destination? Astronaut is going back from the galaxy and his mission is clear – deliver samples of new technologies to make life on the Earth better. But his enemies, who are trying to spoil his mission, are pursuing him. Luckily, he manages to escape but his ship is seriously damaged. Samples are fortunately ok and there is still some chance that the astronaut '''successfully finishes his mission'''. 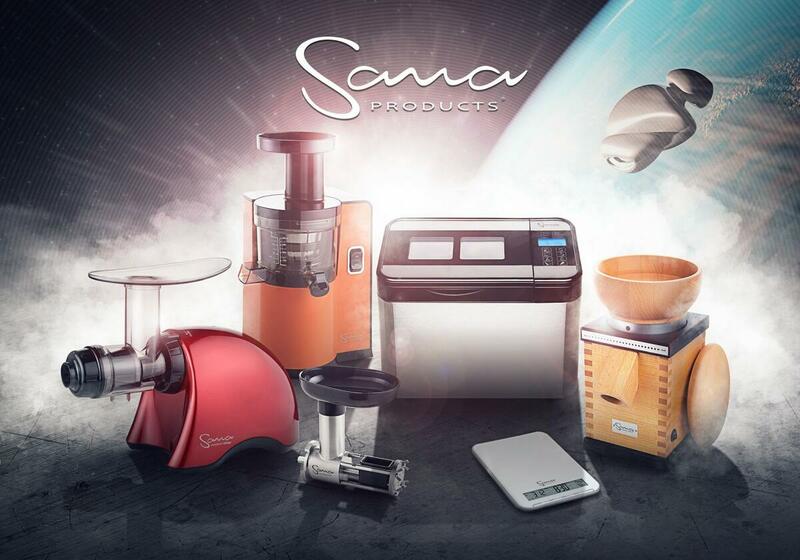 He quickly sends down Sana Juicer EUJ-808 for a couple in love in Paris, Sana Bread Maker and Sana Grain Mills for an older man and wife in Moscow and Sana Juicer EUJ-707 for the Czech family with two children.